Responsive website is a great way to inexpensively design and develop a website that will function well on mobile / smart devices. Responsive website design & development, is the creation of a website that will automatically adjust itself to suit the user’s device. For example, if you visit a website using your laptop, the website would size itself accordingly, and you will see a “desktop” version of the website. If you visit the same website on your smart phone, it will adjust and collapse down to give a mobile user a better experience as well as far easier to navigate. More and more people are using smart devices to browse the internet worldwide, this obviously includes South Africa. As South Africa’s internet infrastructure gets better, the ability for users to surf websites from anywhere in the country gets easier. As this happens, it becomes more important that your website caters to these users. A non-responsive website on a smart phone is incredibly difficult to navigate, this normally results in users abandoning your website. Responsive websites prevent this from happening and allow users to seamlessly transition across all devices while maintaining a good user experience. How do search engines rank responsive websites? 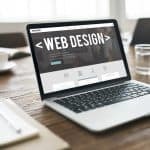 Google has now placed a large emphasis on responsive websites and now penalizes websites that do not cater for mobile devices. If your website currently enjoys a decent ranking with search engines such as Google but it not responsive, you need to make the transition soon to avoid negative ranking. Overall we build websites with responsive technologies as a standard with no extra cost to you the client. Our websites are strictly test across multiple device types to ensure you get the best results.